The interdisciplinary nature of nanotechnology suggests that a wide variety IP issues influence research and patenting in this area. An example of current interest is the recent ruling in the case of Association for Molecular Pathology, et al. v. USPTO. The case deals with the research and technology of genes; specifically, two tumor suppressor genes known as BRCA1 and BRCA2. Recently, a coalition led by the American Civil Liberties Union (a not-for-profit patent reform organization) challenged seven patents held by the company Myriad Genetics 3 in a New York District Court. In March 29, 2010, the patents were found invalid for claiming unpatentable subject matter 4. In the decision, the judge held that DNA should not be regarded as a mere chemical compound and that isolating genes is not to be considered patentable subject matter. On March 30, 2010, Myriad Genetics announced that it would appeal the decision. The case has now been brought to The Court of Appeals for the Federal Circuit which will hear oral arguments related to the patentability, or not, of gene patents. This case, whose destiny will likely be decided at the Supreme Court level, could have implications on the entire field of gene patenting 5. Approximately 20% of the human genome is currently patented. If the Association for Molecular Pathology prevails, up to 5000 gene patents could become invalid. This decision could cost companies billions of dollars in direct and licensing revenue. It also affects researchers currently studying gene-related technologies and whether or not the incentive of ownership will exist in their field. Background on BRCA1 and BRCA2 genes. 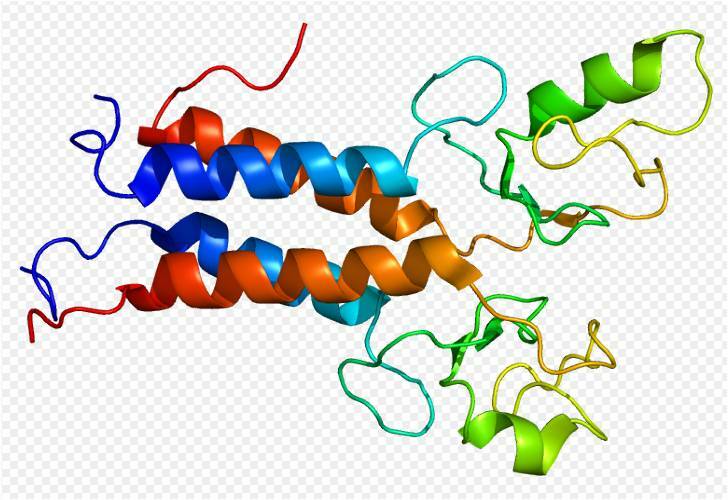 BRCA1 and BRCA2 are tumor suppressor genes that produce proteins (Figure 1) used to fix damaged DNA 2. The genes are expressed in breast cells (and other tissues) where it plays out its “fixing” role and prevents the formation of malignant cells. Certain variations of the genes can lead to an increased risk of breast cancer. The mutated BRCA1 and BRCA2 genes produce proteins that fail to function properly and are unable to fix certain mutations that occur in other genes. The defects accumulate allowing cells to uncontrollably grow and divide, increasing the chance of tumor formation. As such, testing for these abnormalities can help identify individuals who are at a much higher risk for developing the disease. 2) once the gene is isolated it is transformed chemically. Therefore this is an invention by mankind. Under current U.S. law, life forms and products of nature are considered unpatentable. Has Myriad invented something beyond a product of nature? Does isolating a gene render a naturally-occurring gene something novel and patentable? Is a gene simply a chemical compound or an information-carrying entity which, even if somehow transformed or isolated, retains this essence of being produced by nature? Myriad said "isolated DNA is a chemical composition which is not found in nature or the human body, and which has important diagnostic and therapeutic uses that cannot be accomplished with a human's natural or native DNA 6." Others argue that the mere act of isolating a gene sequence from the body does not make it man-made. The following complaint has been put forward: if a single company owns the rights to test for this mutated gene, a number of women will not be able to afford the diagnostic. The test currently costs about $3000. In addition, a diagnostic test that is locked up in patents prevents others from offering the test and giving a second opinion regarding subsequent treatment; something many patients find valuable. On the other hand, there is the issue of innovation. Would this technology have developed without the investment backing garnered by these patents? In the absence of this intellectual property, Myriad would not have had exclusive rights to research or test these genes. One could argue that many more women are now able to receive this test thanks to the protection afforded Myriad by their patents. Nanotechnology may play a large role in gene-related technologies and this case could have large implications for a variety of potential nanotech patents. The majority of nanotechnology-related research focusing on genes centers around drug delivery methods using nanoparticles. For example, one group is using metallic nanostructures as a platform for surface-enhanced Raman scattering to detect BRCA cancer genes 13. Another group has shown that using nanoparticle delivery systems extends the survival of mice bearing tumors derived from BRCA1-deficient ovarian cancer cells 8. In yet another example, gold nanoparticles were used for label-free detection of BRCA1 mutations utilizing DNA ligation on a DNA microarray 12. In addition to nanoparticles, certain nanotechnology characterization methods are being explored as a detection method for BRCA genes. One technology, termed OPTONANOGEN (Integrated Opto-Nanomechanical Biosensor for functional Genomic Analysis), is a system being developed by the IST project and will be used to detect mutations of the BRCA1 gene 7. The system utilizes nanotechnology to speed up the process of the genetic analysis. According to IST, the device will be the size of a human hand will allow the test to be conducted in a matter of minutes compared to hours/days. The technology uses an array of 20 microcantilevers coated with nucleic acids that react when they come into contact with a DNA sample displaying the genetic anomaly. Interaction with the genes causes the cantilevers to deflect by a detectable amount. This deflection, which is as little as 0.1 to 0.5 nm, is detected using lasers along with sensitive photodetectors. The technology is similar to the Atomic Force Microscope (AFM); an instrument prevalent in nanotechnology research. The OPTONANOGEN team has patented both the microcantilever set up and the optical detection system and more patents are currently being pursued. There is still some debate regarding the connection between BRCA mutations and the role they play in cancer cell formation. Some research suggests that the BRCA marker does not necessarily indicate an increased risk of cancer 9. Other studies suggest that there is a difference in Ovarian cancer survival rates between women with BRCA1 and women with BRCA2 mutations 10. Further studies argue that the presence of the gene is a definite marker for cancer in the opposite breast of already-diagnosed patients 11. Gene patents play a large role in both basic research and commercialization of new therapies and diagnostic testing. As nanotechnology will undoubtedly play a role in this area of science, the fate of gene patents affects researchers and start-ups looking to protect their gene-related discoveries.